Welcome to our online video collection. We hope you enjoy the items offered. On this page you will find video oral histories, Western Shoshoni songs, and other types of video. Videos of oral histories and interviews with elders are available in the GBC library. The links following the description of the elders will allow you to view a short clip on what they are about and represent. Beverly talks about where she is from and family backgrounds. The Fisks talk about their early days in Battle Mountain, Nevada. Florence Steele and Lee Moon tell the Goshute creation story about the coyote and the duck ladies. They also share the origin of the name, "Goshute." They explain how different parts of animals were used as tools, and which plants were used as food. Florence and Lee also describe some of the dances and ceremonies of their Ute neighbors as well. Vivian Cinnibar is very knowledgeable about the role her family played in history of the Western Shoshoni. She explains the controversy that follows with signing of the Ruby Valley Treaty of 1863 with the United States Government, known as the treaty of Peace and Friendship. Vivian relates to how the church educated the Shoshoni at Duck Valley, the time she spent going to boarding school at Riverside, and how tuberculosis killed many of her siblings as a child. Harold Miller, from the Walker Indian Reservation, talks about very rich and old Indian tradition, people that have influenced his life, and the traditional life-styles of Indian men. Beverly talks about the age of becoming a woman, rituals that the Indian women would partake in, and some of the superstitions that follow their traditions. Harold knows a lot about the old ways, he encourages Indian youth to respect their elders, learn the language, and not to forget about the culture in which their heritage resides. Dave McKinney, born 1907, shares some memories of his childhood while growing up in Gold Creek, Nevada. He describes several different jobs he held as a young man and the wages he received. These jobs include ranching, building part of Mountain City Highway for the Conservation Corps, and building the dam at Wildhorse in Northeastern Nevada. He tells about the most famous race between “Race Harney” on foot and his dad, “Bill McKinney,” on horseback during one of the Fourth of July celebrations in Owyhee. He also tells about the hand game played at gatherings, and sings one of his hand game songs. Eleanor Little talks about her birth at Miller Creek, her family, and how they came to be at the Owyhee Reservation. She describes her stay at a tuberculosis sanitarium, and how her brother passed away from the sickness at the age of sixteen during her early childhood. She shares information about plants used for medicine and Indian beliefs concerning health. She asks that people respect Indians and explains why certain terms are especially offensive. 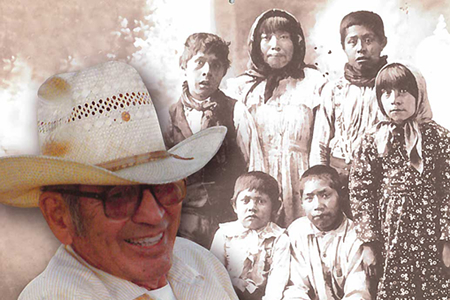 Raymond Yowell, born in Elko, talks about Shoshoni lineage, various events and memories from being raised by his extended family, and also the Indian Medicine men throughout Nevada. 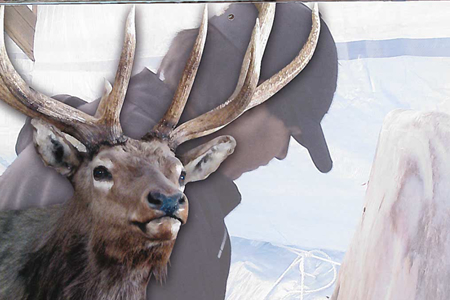 He has vast knowledge of Native American hunting traditions, fishing, and seasonal foods. The knowledge of the Shoshoni religion has also been passed down to Raymond as he discusses the beliefs and practices of his people. His experience with Shoshoni customs date back to the 1850-1870's, which he shares that he obtained from the Shoshoni elders. 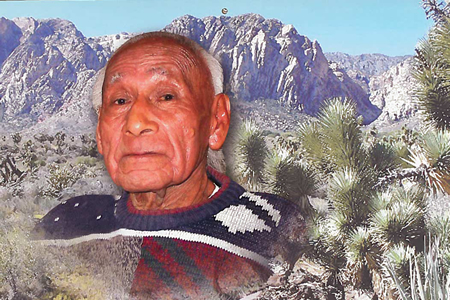 Hillman Tobey, ninety-three years old, shares times about his youth, memories while living at the Pyramid Lake Indian Reservation, the boarding school he attended, and his long life as a carpenter. He describes the school he attended which was very strict, and how his brother got him interested in his skill of pipe making. Hillman crafts, and shows off some of his most exotic and beautiful pipes that he has sold all around the world. He tells about the, "Red Willow," which is used as tobacco for prayer in the pipes. Marge Hall Puella, of the Western Shoshoni speaks about her parents and some of the customs that they passed on down to her. Marge also discusses the different schools that she attended and how segregation was a huge problem during that time. Marge brings with her recordings of her mother singing, and then explains exactly what she is singing and what it represents. Delores Cummings discusses many of the traditional practices that her mother taught her in becoming a woman. Delores also explains the practices and procedures they do for the deceased, describes how her grandmother and the Sopes were her relatives, and the tradition of making cradle boards and how it still being taught by the new generation. Some advice that Delores offers for the new generation is to respect your elders and the people around you. Andrea Woods speaks mostly about her grandmother, Gimma Jones. Gimma passed down extensive knowledge about Western Shoshoni life, sewing, and basic survival around the Northeastern Nevada area. These stories are about what Andrea's grandmother's life was like when she was young, what she did to live on different ranches, stories that date back from the mid 1800's, and all the talents that Gimma possessed. Lyle Nutting and Eloy Thacker, classmates, who both grew up and went to the Owyhee school together talk about the challenges it faced in the beginning. Lyle’s dad was the first principal when the school first opened its doors in 1937 to the Shoshoni and Paiutes and Lyle discusses the early times and traditions of the school. Eloy relates to the times growing up in Owyhee, his memories of attending the school, and discusses what sports were like and the games they played. With the knowledge passed down from his father, Lyle also tells about the construction of the new schools and the reason behind the name of the school. Ellison Jackson, Shoshoni, explains about the early lifestyles in Owyhee, Nevada, how he did not know his English name, and gives a tutorial on the hand game. He describes how he worked on a ranch and grew up as a cowboy, explains some of his Shoshoni Indian culture and customs, and the legend about the wolf and the coyote. Ellison also sings a song with his drum and mentions how it tells a story about Mother Nature and animals. 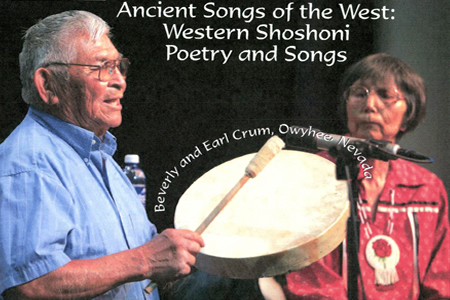 Earl and Beverly Crum share several Shoshoni songs and tell where they originated from. They explain the use of songs at gatherings for the bear dance, and Beverly discusses how and why hand games are played. Earl sings a variety of songs while Beverly translates the songs into poetry, discusses the morals of the songs, and how it is told to their children. The Crums also tell what their early lives were like growing up in Nevada, what they did for food, and some of the traditions that the Shoshoni followed. Evelyn Temoke-Roché, a native of the Western Shoshoni, discusses her customs, the origin of the Temoke name, and the details of her family history. Evelyn's grandfather, Muchach, and father, Frank, were both chiefs of the Te-moak, of which she shares their history, treaties they were involved in, and how they came to be. She also describes of the traditional plants and natural remedies that the Shoshoni used for herbal medicine. Evelyn gives details on what type of role and power the medicine men, and women, played in the Shoshoni society and culture. Alvin and Lorraine Sims talk about their family from Paradise Valley, relate to their early lives growing up, and discuss the numerous families that they knew. They relate to how Captain Sam, Western Shoshoni leader, helped choose Owyhee to be the Western Shoshoni Indian Reservation over Carlin Farms, where Carlin and Newmont Mining are located today. Alvin and Lorraine both refer to various Indian doctors, Indian tea, and what they used as Indian medicine. The advice they offer to the young generation is to stay away from drugs and alcohol, listen to their elders, and work together as a team. Nevada Penoli, who has spent her entire life in Nevada, shares her stories on the gathering of pine nuts and how the tribes would go about obtaining them. She also tells about some of the living conditions her mother and grandmother endured during the late 1800’s.They both passed on stories to Nevada on the way of wagon life, traveling, and various other aspects during that time. She witnessed how deer hides were transformed into pants, shirts, gloves, and describes how every part of the animal was used and the purpose of its use. Carrie Dann, of the Indigenous Environmental Network, speaks about her struggles and the struggles of the Western Shoshoni people regarding their land. She discusses the history of the land, and how the United States government lied to the Western Shoshoni people about how they stole their western lands. Carrie talks about gradual encroachment of the government, how it is not a written law, and describes how Western Shoshoni land has never been argued before any United States court system. Raymond Yowell, a former chief, is speaking at the Indigenous Environmental Network held at South Fork Indian Reservation. This conference focuses on the protection of mother earth and why it is so important. Raymond goes into detail about the struggle of the Shoshoni people due to the United States government illegally taking of their lands. He tells about the corruption of the lawyers who represented the Shoshoni, the treaties that were not honored by the United States Government, the aboriginal Western Shoshoni territory, and about the history of the western territories and the Indians who occupied them. Harold Miller begins by talking about the spirits of his people, some of his memories while growing up, and how an elder influenced him to become the man he is today. Raymond, from the Walker Paiute Tribe, shares his knowledge on the history of the Ghost Dance, its meaning, and how important it is to his people. Harold also explains how Indians should stay with their religion, how it has become somewhat corrupt over the years, and how everyone should focus on equality and quit judging other human beings. In 2005 at the Elko Colony gym, dancers came from all over Nevada and parts of Idaho, Utah and California. Approximately two hundred and fifty attended the event. A social Pow-Wow, which was held open to the public, it consists of various dances, singing, and the drum groups of the Eagle Bear Clan, Painted Horse, Sweet Sage, and Buffalo Chaser. Lucillle Jones offers a prayer of blessing for all of the participants in the Pow-Wow, while the Eagle Bear Clan performs the Victory and Flag song before the festivities begin.